Jon is executive director of the Ecosystem Management Research Institute, an independent, non-profit institute that specializes in large-scale conservation planning using ecosystem-based approaches. Jon holds B.S., M.S., and Ph.D. degrees in wildlife biology and was a wildlife ecology professor at Michigan State University and a wildlife and ecology program manager for Boise Cascade Corporation. He currently serves as vice president of The Wildlife Society. Jon lives in Montana. Dan is a College administrator and small business entrepreneur. Earned a Bachelor’s degree in Biology and Master’s degree in Basic Science. Also earned Bachelor’s degree in Computer Science and an MBA in operations management. Raised funds and did news interviews to promote Peregrine Falcon reintroduction in Colorado during the 1980’s, received award from the Colorado Peregrine Partnership in 1987 in recognition of those efforts. Formed the Oregon Chapter of NAGP; elected to the NAGP Board of Directors in 2009, elected as Secretary of NAGP in 2012. Spend significant time over past several years coordinating and submitting written comments for commercial wind energy development on BLM lands in the west, particularly Oregon, that impact sage grouse. Wrote an e-book for laymen on impact of commercial wind energy on grouse populations. Currently the US Delegate to the International Association for Falconry and Conservation of Birds of Prey. Served as the US representative to the International Falconry Festival in the Abu Dhabi in 2011, celebrating the UNESCO decision to recognize falconry as an intangible cultural heritage. Consulted with the US Air Force falconry mascot program during 1980-90s; donated captive bred prairie falcons to the US Air Force for use as flying mascots for the Academy. Participated in the White House Conference on North American Wildlife Policy in 2008. Past president and vice-president of the North American Falconers’ Association, as well as the NAFA Journal Editor for 20 years; awarded the NAFA Freienmuth Award and Honorary membership in 2010; serve on various NAFA committees. Active member of Oregon Falconers Association and serve on association committees. Founding member of the Michigan Hawking Club in 1972 and the Texas Hawking Association in 1983. Licensed as Master Falconer since 1978, practicing falconry under state and federal permits since 1970. Andrew is Managing Member of Bogan Associates, LLC, an investment firm that manages private funds for qualified clients. Prior to founding Bogan Associates in 2004, he was a Venture Partner at Tallwood Venture Capital in Silicon Valley. Andrew trained as a biologist and earned a degree in molecular biology from Princeton University and a doctorate in biophysics from the University of California. He is a volunteer Certified Instructor for the California Department of Fish & Wildlife and is passionate about wildlife conservation. Andrew lives in Palo Alto, California with his wife and daughters and their pudelpointer. As manager of Weaver Ranch, Willard has spent the last 19 years working with wildlife habitat management, overlaying traditional ranching practices on large scale southern Great Plains land in ways that help sustain wildlife, particularly the lesser prairie chicken and other grassland bird life. Prior to that, he spent 18 years working for The Peregrine Fund, Inc., where he specialized in the captive propagation of rare raptors, used to reestablish extinct or diminished wild populations. He was also involved in the early establishment of captive Aplomado falcon production and spent 10 breeding seasons on the Indian Ocean island of Mauritius, working to stabilize populations of the Mauritius kestrel. Heck is also secretary of the Grasslands Charitable Foundation and helps organize the annual High Plains Prairie Chicken Festival, in his home state New Mexico. Jim resides in Brookings, SD and has recently retired from South Dakota State University. Chris resides in Cheyenne, WY. He began his academic training with an A.B. in biology and a minor in English at Grinnell College in Iowa, then continued with an M.S. in wildlife ecology from the University of Wisconsin. He began his career with the Kansas Fish and Game Commission where he spent six years as the editor of KANSAS WILDLIFE magazine. In 1983, he moved to Cheyenne, Wyoming, to assume the editorship of WYOMING WILDLIFE magazine with the Wyoming Game and Fish Department, a position he occupied for thirty years before retiring in 2013. Chris has contributed nearly 500 articles to other regional and national conservation publications. He is the recipient of the National Wildlife Federation’s Conservation Achievement Award, the Ducks Unlimited Conservation Communicator of the Year Award, and the Excellence in Craft award and the Jade of Chief award for contributions to conservation from the Outdoor Writers Association of America. He has spent his entire adult life in a love affair with the big sky and grasslands of the Great Plains. A lifelong hunter from Pratt, KS and a 30-plus-year conservation professional, Rob Manes is director of The Nature Conservancy of Kansas. His work has focused on ecological implications of renewable energy, agricultural policy, and education and communications. Manes currently lives in Kansas' northern Flint Hills with his wife and two of his four children. Steve is a certified wildlife biologist, an alumnus of National Conservation Leadership Institute, and a multiple degree alumnus of South Dakota State University. For the last quarter century Riley lead conservation efforts, working as a state upland game biologist in South Dakota, as a wildlife program administrator and a supervisor of biologists in Nebraska. Well-versed in wildlife and agricultural policy, partnership building and leadership, Riley currently serves on several boards and committees: He is chairman for the National Cooperators’ Coalition for the Cooperative Fish and Wildlife Research Unit System; a board member on the Playa Lakes Joint Venture and he is a Professional Member of the Boone and Crockett Club. Since 2010, Riley has worked for Pheasants Forever/Quail Forever and is the Regional Director for PF's South Region. Steve previously held the position of President and CEO of the Grouse Partnership He lives in Waverly, Nebraska. Ralph is one of NAGP’s previous executive directors and is a retired educator. He received the Montana Wildlife Federation’s conservation educator of the year award and his biology field program methodology was published in Phi Delta Kappa’s Outstanding Practices series. He currently owns two small businesses: a biological consulting firm and an aircraft brokerage company. As a biologist, Rogers has been a frequent contributor to published natural history literature about the peregrine falcon; studies with fieldwork that took him from Greenland to Tierra del Fuego. Rogers is also a past president of the North American Falconers Association, as well as the current vice president of the International Association for Falconry. Ralph lives in Montana. 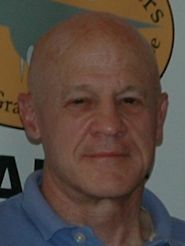 Steve is the founding Executive Director of the George Miksch Sutton Avian Research Center, University of Oklahoma, a position in which he has served since 1983. He received his B.S. from the University of Oklahoma, his M.S. on the Biology of Bald Eagles on Amchitka Island, AK, from Brigham Young University, and his PhD on Post-fledging Behavior of Peregrine Falcons from Cornell University. Steve was involved significantly in the recovery of the endangered Peregrine Falcon as well as the recovery of the endangered Bald Eagle. He served as the founding President of the Grouse Partnership (for five years) and a founding/current Board Member, he is a member of the Prairie Grouse Technical Council, a member of the Lesser Prairie-chicken Interstate Working Group, a member of the Attwater’s Prairie-chicken Recovery Team, and belongs to the IUCN Grouse Specialist Group and IUCN Reintroduction Specialist Group. Rollie is a certified wildlife biologist with more than 45-years of experience working with state and federal wildlife agencies. During his 22-year career with the U.S. Fish and Wildlife Service, Dr. Sparrowe served as chief of the Cooperative Fish and Wildlife Research Unit, chief of the Migratory Bird Management Unit, chief of the Wildlife Research division and as deputy assistant director of Refuges and Wildlife. He is a past president of The Wildlife Society, and a 2002 recipient of their Aldo Leopold Award. Since retiring in 2004, he continues his work of blending science and resource management through work on the wildlife impacts of energy development. Rollie lives in Wyoming. Jim owns Weaver Ranch and Milnesand Grass-Fed Beef, LLC. He also served as a commissioner with New Mexico’s Game and Fish Commission, was a founding member and director of The Peregrine Fund, Inc. and president of the Grasslans Charitable Foundation. Jim lives in New Mexico.